25 Y/O Manchester United Keeper Now On West Brom’s Radar: Should Aston Villa Look To Bring Him Back? West Bromwich Albion are reportedly lining up a move for Manchester United goalie Sam Johnstone this summer. According to recent reports, the Baggies are interested in securing the signature of the Preston-born goalkeeper during this summer transfer period. It is understood that the West Midlands club are looking to replace Ben Foster and Johnstone keeper fits the bill perfectly. The 25-year-old shot-stopper spent the last campaign on loan at Aston Villa where he was one of the club’s standout performances under Steve Bruce. The Villans managed to reach the Skybet Championship playoff final because of Johnstone’s brilliant contributions in goal but they eventually faltered at the final hurdle against Fulham and missed out on a promotion back to the English top-flight. Some sources are now claiming that Villa’s dire financial situation could pave the way for their West Midlands rivals, West Brom to seal a move for the Englishman this summer. Johnstone had put in some outstanding displays for the Villans during the course of last season which is why Bruce’s side should look to re-sign him. It is believed that United will demand a fee in the region of £5m for their prized asset whose contract at Old Trafford is set to expire at the end of next season. Hence, the Red Devils are looking to cash in on him this summer rather than risk losing him on a free transfer next year which could be a major stumbling block for the Villans. The Villans had managed to clinch a 4th placed finish in the league last term mainly because of their strong defence led by Johnstone. Steve Bruce should now look to re-sign the goalkeeper or find a suitable replacement for him in this post-season if his side are to challenge for one of the promotion spots once again in the upcoming campaign. The potential acquisition of Johnstone will undoubtedly bolster Bruce’s goalkeeping options at Villa Park. The West Midlands side has the likes of Mark Bunn, Matija Šarkić and Jed Steer in their ranks but as of this moment, none of them are worthy enough for a place in Bruce’s starting XI. Re-signing Johnstone will definitely improve the Villa team and add more competition for places within their squad. Read More: Middlesbrough Winger Attracting Attention From Ligue 1 Giants: How Does Aston Villa Play Into This? At 25, the English keeper has his best years ahead of him which the Villans should look to benefit from, in the next few years. 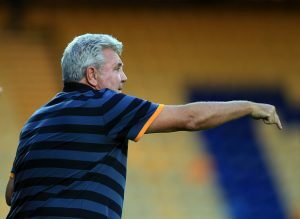 With his contract running down next year, Johnstone is available on the cheap so Steve Bruce should do everything in his power to snap him up ahead of their West Midlands rivals. 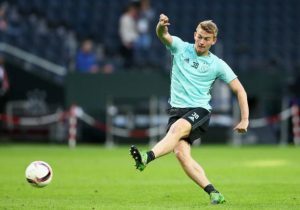 It remains to be seen what lies ahead in the future of Johnstone and whether he ends up plying his trade at Villa Park once again next season. Wolves Looking To Get World Cup Midfield Star Into The Squad: Good Fit Into Santo’s System? Derby County Exclude 26 Y/O Attacking Ace From Training Camp: A Move To Leeds United On The Cards? Leicester City Ready £20m Bid For Highly Rated Aston Villa Attacker: Do They Really Need Him? Brighton And Hove Albion Want 19 Y/O English Striker: One For The Future? Predicted Aston Villa XI Rotherham- Can The Villans Continue Their Good Form? 4-5-1 Aston Villa Predicted Lineup Vs Fulham: Elmohamady To Return For The Villans? Manchester United Eyeing A Move For 22 Y/O Aston Villa Ace: Right Fit For Mourinho’s Plans? 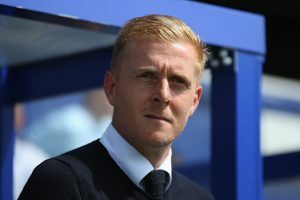 Predicted 4-2-3-1 Leeds United Lineup Vs Aston Villa: Can The Whites Continue Their Good League Form?